Though it is known for its high fuel surcharges, Virgin Atlantic Flying Club is actually a very versatile program offering many ways to earn miles and access high quality flights. Since it is not part of an airline alliance, booking partner flights is not as simple as with many other airlines. The partners Virgin Atlantic does have, though, include Singapore Airlines, Gulf Air, Virgin America, and Hawaiian Airlines. Those airlines open you up to some high-end ways to get to luxurious destinations. So, its a great program for people looking for vacation bookings. When Should You Use Virgin Atlantic Flying Club Awards? If you’re looking to use Flying Club points directly on Virgin, U.S.-London routes are the way to go. The airline is focusing on heightening the quality of its transatlantic product. Those routes are already primarily served by double-decker Airbus 380s, which offer some of the swishest lounges you’ll find in the air. I’m talking Wii Tennis and facials with your full English tea and designer cocktails. 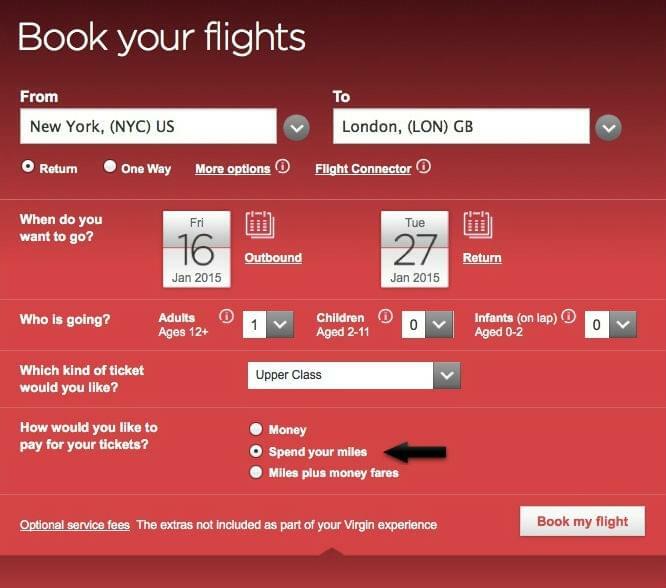 Thanks to its new partnership with Delta, which now owns a near controlling stake in the airline, you can also book any available Delta seat through Virgin Atlantic without their typically elevated fees. 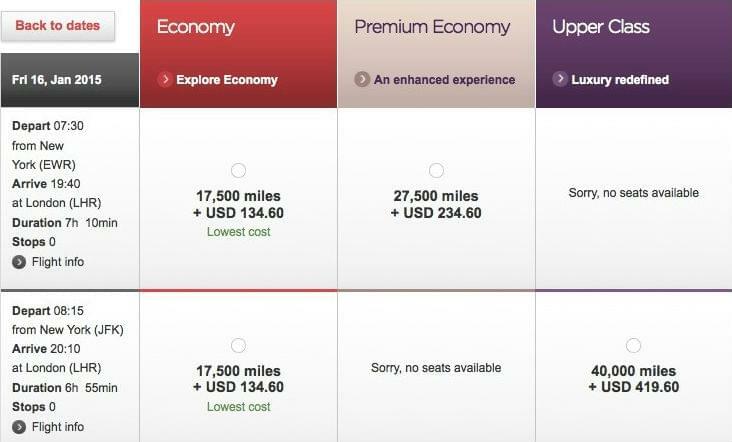 For domestic flights, Virgin Atlantic also allows you to score very advantageously priced seats on Virgin America. Skip to phone booking tips. 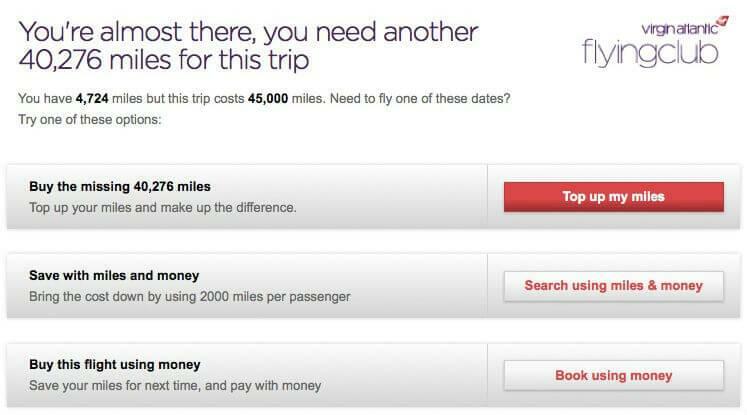 The Virgin Atlantic online booking tool is fantastically simple, which has both an up- and a downside. If the flight you want to book can be booked online, you’ll be in and out in minutes. But if it can’t, which is the case for nearly all partner flights, you’ll have to complete your booking by phone. 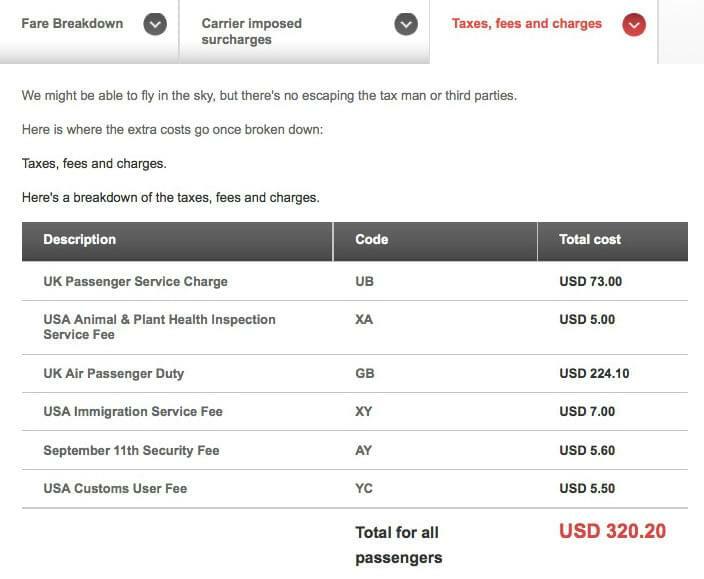 The total amount of taxes and fees for each leg will be calculated once you add the flights to your basket. To continue from the flight schedule to book your flight, you’ll need to enter your Flying club log-in. If you do not have a direct flight, you may be able to lower your fees by clicking through the different routing options. However, fees can be hard to avoid since most Virgin Atlantic flights pass through London. After logging in and continuing to the next screen, Virgin gives you options if you do not have enough miles in your account. Combifares, for example, allow you to pay for one leg with miles and the other with cash. Once you choose whether you will pay completely or partially with miles, hit continue and proceed to enter your passenger details. The credit card you use on the subsequent payment page must belong to the passenger. This is true for all Virgin Atlantic online bookings. There is no fee for calling to book Flying Club seats, which is a relief since you need to call to get many of the awards. There can be long (around half an hour) wait times, so plan accordingly. As it’s not possible to book partner flights or search for seats online, you’ll need to look for available award seats on the partner airlines website. If you cannot view the airline’s inventory because you do not have an account, search for available flight dates and times so you have some options in mind when you talk to the booking agent. Virgin America’s inventory for Virgin Atlantic bookings is different than what you will find on their website. Once you get an agent on the line, they are incredibly helpful. When searching for your itinerary, they automatically suggest the best flight times for both comfort and connections. They will also give you their full name and extension in case you need to call them back. If an issue comes up, the agent will put you on hold and gather any other information needed to complete your booking. They may need to call another airline, or, if you are booking with a credit card under a spouse or family member’s name, call that individual to authorize the charge.